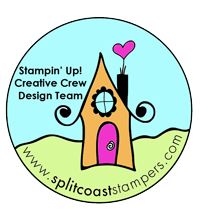 Scrap Class – August | Stampers With Altitude!!! Every month, I scrapbook. I am trying to get a club together. I have 4 solid members but need at least 2 more in order for this club to be a go! Want to join? You can do this club VIRTUALLY!! Meaning, we can skype or oovoo to attend the club (depending on how many want to join). I will give you a hostess code so you can order! I think it would be a hoot to have a virtual member attend! I have done it before too! Anyway, until more members join, I will continue to run this like a class. Class is three pages. 1 – 2 page layout and 1 – 1 page layout all done in 12 x 12. I LOVE my two-page layout this month! It’s so pretty! Anyway, this is the 12 x 12 page! I have never done a layout quite like this. 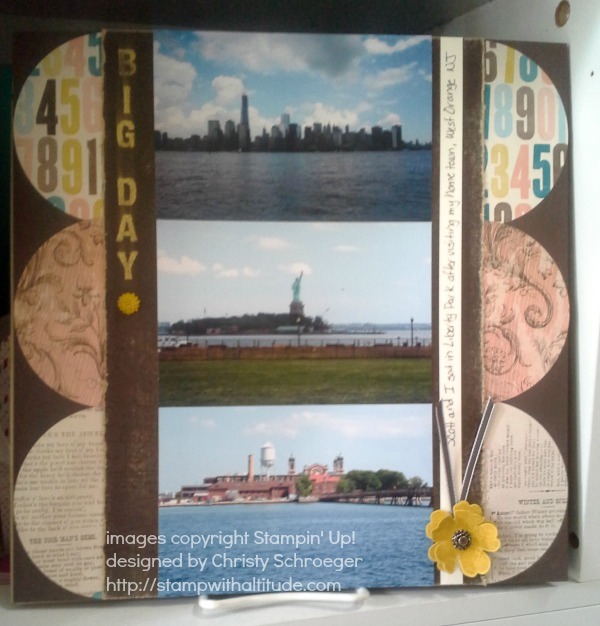 I like that you can fit 3 – 4 x 6 photos on it… Originally, this layout was supposed to be done horizontally (meaning the circles would be at the top and bottom vs the way I have it – left to right). I didn’t have 3 pictures shot vertically that went together so I opted to turn the layout sideways. So, if you missed Scrap Class. Below is one of the layouts I did.